Stroke Rehab has developed pioneering technology for neuro-motor rehabilitation of Stroke victims without physiotherapy. The FDA approved device is based on personal electric signals and AR technologies. A stroke is described as a blockage in one of the blood vessels that leads to the brain. When oxygen is lacking in the brain within a few minutes of the absence of oxygen, brain cells (neurons) begin to die. In most cases, neuronal death leads to impaired of limb mobility. In fact, in 85 percent of stroke cases there is a hand and foot injury on the same side. What problems the brain stroke creates? Stroke can cause functional changes, depending on the region of the brain was injured. These changes may have a significant impact on the life of the victim patient and those around him. Many of the functional changes can be rehabilitated and to improve the condition of the patients. Movement: Paralysis, laxity, muscle weakness may occur, usually in one side of the body. These changes may result in coordination difficulties, difficulties in walking, sitting, and posture. A third of the patients will remain physically disabled - to the point of complete paralysis on one side of the body - which can cause significant difficulty in functioning. Muscle stiffness (spasticity), involuntary muscle contraction that can cause pain. Rehabilitation process is endless: The world of stroke rehabilitation has not changed much in the last century. As part of the rehabilitation process, patients are forced to go to rehabilitation clinics to perform rehabilitation exercises over and over again throughout their life. The rehabilitation process is expensive and is based on physiotherapy. On the side of the clinic, the rehabilitation process is not cheap because it is only possible by using a human factor (physiotherapist, doctor or nurse who are at the patient's side during physiotherapy). Needless to say, clinic costs are often rolling over on the patient. StimelAR, the device of Stroke Rehab, changes the picture. StimelAR uses three electrodes attached to the hand or leg to sample and hold the very weak signals from the brain that is damaged by a stroke through the nervous system to the limb muscles (a process called the EEG). Now the patient is required to make efforts to constrict the muscles of the hand or leg. At the beginning of the rehabilitation process, the patient makes an efforts to activate the limb muscles and sees through the instrument display, and in the AR eyeglasses, a small movement from a zero position of a horizontal bar to a location of reference horizontal bar located higher and represents the target (Threshold bar). After repeated attempts, when the signal sent from the brain to the hand or leg slightly overcomes, the patient manages to bring the mobile horizontal line to the target line (Threshold BAR). After processing, reproducing and amplifying the signal, the instrument transforms the direction of the signal flow and injects through the electrodes the signal to the hand or leg muscles to which the electrodes are attached. The patient sees his hand or leg performing the same real action as they did before the stroke and before the brain injury. With AR glasses, the patient sees his hand being sent to a glass of drink, apple or toothbrush and even approaches and holds an object (including folding his fingers to hold the object in the AR glasses), or his leg is sent forward and kicking a playing ball and manages to ward the ball strongly. The rehabilitation process closes a cycle of visual biofeedback: the brain receives this movement, the mirror neurons in the brain learn this movement and remember it. The learning region in the brain is re-shaped by the acquired knowledge (the brain has a plasticity abilities). Later, the brain will send a signal stronger than the previous signals and is even shaped in according to the original movement that the brain would send before the stroke occurred in the brain. Allows the patients a final rehabilitation process: At the end of the process there is no need to continue the "practice" throughout the life period. From the clinical trials carried out, we implemented the insights so that at the end of the practice using StimelAR, the brain that was rehabilitated learns the actions and is finally rehabilitated to the pre-stroke level. 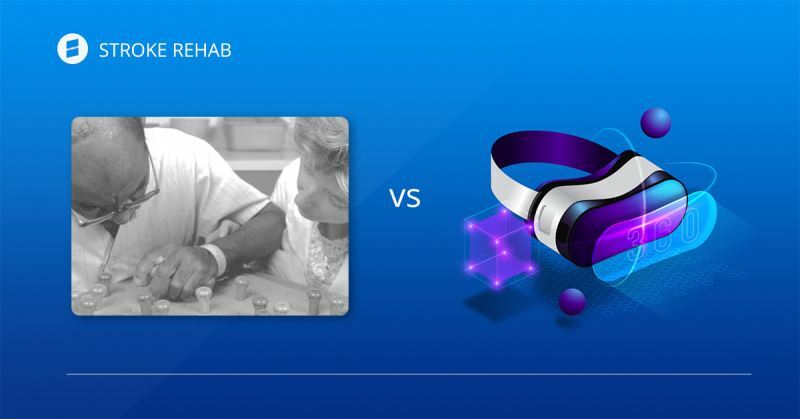 Allows independent practice in the rehabilitated home without the involvement of a physiotherapist, doctor or nurse in the process: Because the technology uses laminated reality, it encourages rehabilitation by performing exercises without the need to get help from a human factor. 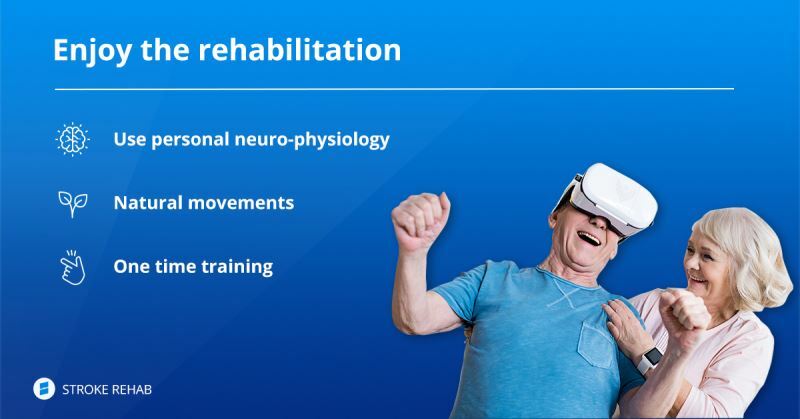 Stroke Rehab's revolutionary technology combines technologies from electro-biology, advanced algorithms, and the AR field to bring the rehabilitated brain to reallocate very specific regions of the brain instead of other areas destroyed by the stroke. 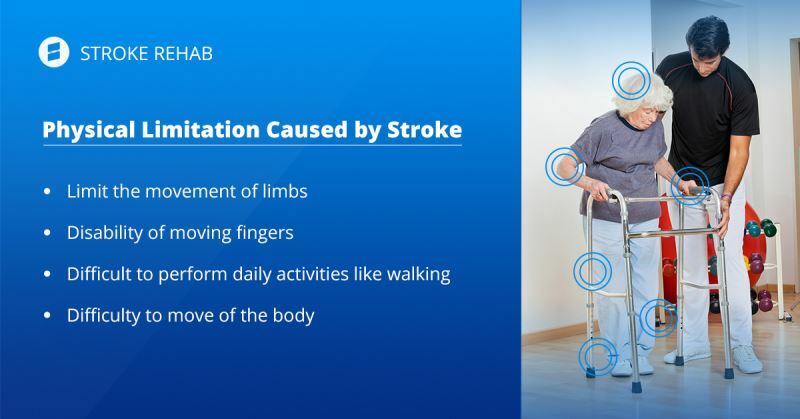 Stroke Rehab technology enables the natural movement of the patient by personal adjustment and analysis of the specific signal and, as a result, leads to a one-time, time-limited rehabilitation process. In our brains there are different types of neurons. Some of them are called mirror neurons. These mirror neurons help us to mimic the movements which our eyes are seeing. In as much as the quality of the movement that we are observing and are sensing is similar to the natural and normal reconstructed movement, so mirror neurons can adapting themselves to the new movements on a permanent basis. Our brain is an organ with plasticity properties. 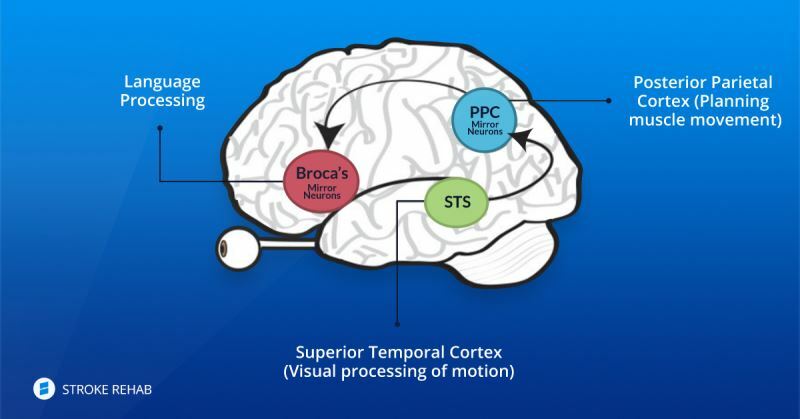 StimelAR's technique helps in the learning process that takes place in healthy parts of the brain after a stroke to control the function lost through neuro-plasticity. At the end of the process of rehabilitation from a stroke, the patient's brain builds routes that bypass the destroyed routes in the affected area. Smart Sensors: The Stroke Rehab technology enables intelligent reading of signals in damaged areas as a result of the stroke. Reading the signals is amplified by electronic means. Signal analysis: The increased signals coming from the patient are transmitted through advanced algorithms and enable creation of a unique "signature" of the rehabilitated patient. This signature will be used to create custom biofeedback automatically. Back-up using augmented reality: The Stroke Rehab system "interlaces" the existing reality with unique elements that encourage the patient to perform natural physical functions. For example: allows the patient to hold a glass of water that is appeared in front of him. 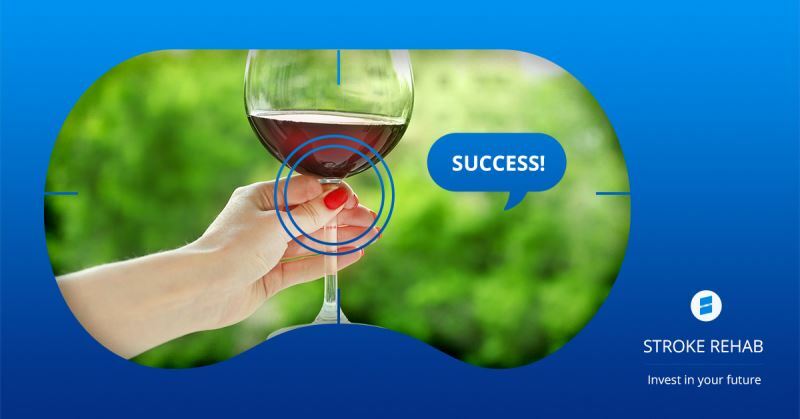 AR technology is directly connected to the physical-neurological elements of the patient and encourages him to perform specific actions for it. The sensors on the device's electrodes and attached to the affected areas (hands, feet, etc.) are reading very weak electrical signals from the nerves in these areas. Amplified the signals in a way that does not impair its quality. Clean and neutralize "noises" around the signals that you want to sample. Analysis of the signals using advanced algorithms that enable identification of the unique signature of the patients , and in fact allow the return of the signals that restored in a way that causes it and its brain to identify the action as a natural action. Once the work has begun, the processed signals are also transferred to a digital processing unit that enables the display of three-dimensional elements in the natural space of the patient and encourages it to perform operations. Custom-natural movement: A unit that enables the return of the amplified and synthesized signal as an electro-physiological pulse and enables natural movement that trains the patient and his brain. Graphic Processing Unit: A graphic processing unit for augmented reality that presents 3D objects in space according to the reconstructed progress and its purpose: to increase the mobility of the patient by innovative means. Stroke Rehab has performed successful clinical trials and ongoing treatments for hundreds of patients during 7 years at Galilee Medical Center by the aid of StimelAR device in the Department of Geriatric and in the Department of Neurology. Rehab Rehab has performed successful clinical trials and ongoing treatments for hundreds of patients at Galilee Medical Center, for a period of 7 years, in a geriatric department headed by Dr. M. Rozacka, director of the Geriatric Department, and Dr. Evnitzky, a Geriatric physician, And in the Neurology Department - headed by Prof. Bella Gross - also here in practice by Dr. Ivanitzky Svetlana. The device is intended for patients with central or peripheral paralysis. The diagnosis was confirmed by clinical syndrome and brain CT. In addition to the two documented clinical trials, hundreds of treatments were performed in an undocumented framework in the departments of geriatrics, neurology and internal medicine at the Western Galilee Hospital. Rehabilitation of patients with impaired limbs is caused by increased muscle contraction due to direct stimulation of the motor neurons. As a result of the electrical stimulation there is a decrease in the muscle degeneration and strengthening the muscles. The daily activities, also known as the ADL-Activities of Daily Living, are actions that are the basis for a person's physical independence and independence from others. The functions of these activities in terms of mobility and exercise of hands and feet for various purposes were examined in the course of these clinical trials using various measures such as NIH, FIM, FUGL-MEYER TEST. The patient's pain intensity was assessed by Visual Analog Scale. Range of Motion - Increased contraction of the muscles of the limbs. Achieve proven efficacy of electrical stimulation on coarse force, muscle tone and pain relief resulting from spasticity, in the paralyzed arm and paralyzed leg. The injury caused by a stroke in the legs is manifested in a phenomenon called Drop Foot, which results from damage to distal muscles. The experiments prove a normal return to the patient. Stroke Rehab achieved FDA approval; (We have obtained a permit to market and sell the product. Before the supply of the device, the buyer is required to provide us with a certificate signed by his personal physician a document called prescription. Stroke Rehab should achieve FDA approval for the addition of AR glasses to our system). The device is purchased by the clinic – ne-time payment of $2,500. Each electrde price - $8/set of 3 electrodes (of one session). 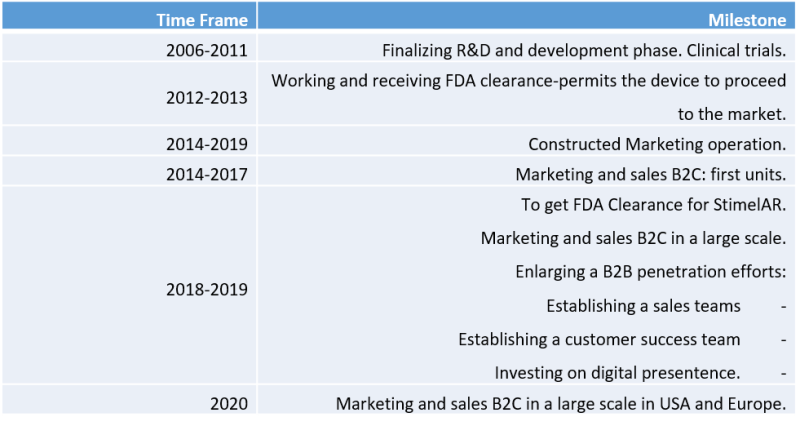 Estimated incme from electrodes (eCommerce channel): $2640 per clinic. Estimated incme from electrodes (eCommerce channel): $240 per patient. On both models, we are offering our device in a lease program and a purchase as needed for the disposable electrodes. We have a process that works through www.cvarehab.com site to buy StimelAR medical device or to lease it on a monthly basis or to buy disposable electrodes. The payment is transferred direct to company's bank account. STROKE REHAB's cash flow based on cash. Get payment before shipping the device in case of purchase of the device or 1st payment in case of lease case. The first two payments are covered the cost of the device in case of leasing of the device. Payments to subcontractors are based on the assumption of 45 days delay between the day of purchase of the device till the day of payments to sub-contractors. •	M.B.A in marketing, Honeywell University •	B.Sc. in Electrical Engineering, Technion, Israel •	+10 years of experience in the field of non-invasive medical devices and FDA regulations •	+20 years of experience in the software and military fields •	VP in two entrepreneurial medium-sized companies in the Real Estate field. •	+20 years of experience in the military field •	Founder and CEO @ BZMT Electronics •	M.Sc. in Electrical Engineering, Poly Technion, Kishinev •	B.Sc in Electrical Engineering, Institute of Technology, Moldova. •	16 year of experience as a technical and marketing consultant. •	5 year – CEO of a development and marketing agency working with the medical sector: Ornim Medical, Medigus, GE etc.